Do you have 20, 30, 50 or 100 lbs. to lose? Are you afraid of even the thought? 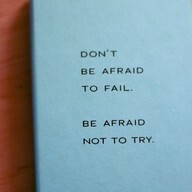 Are you afraid you might fail or of being short of breath or out of breath? Are you afraid to look like an idiot in front of a bunch of thin people working out in the gym and feeling like the only fat person in the room? (whether you are or not – surely everyone is looking at “you”) Are you afraid of the challenge and wanting to quit? That is how I felt!!!! Those are ALL the fears I had before I started my weight-loss journey. I am here to tell you that if I, Tammy, 43-years-old, 100 lbs. overweight and scared to death can do it, ANYONE can!!! Unless you have been told by a Dr. “do not workout, it will kill you” then you have NOTHING to be afraid of. Well let me re-phrase that… you have NOTHING stopping you. I’m just here to tell you the actual truth!! I started my weight loss journey over 2 years ago. Yes, 2 years!!! I know that sounds like a long time… but… it took me 10 years to gain that 100 lbs. so in comparison it’s not so long. I’m not in a race, I’m on a journey and that is how I have to look at it. That is what works for me and that is what approach I need to take. I feel, the longer it takes me to get it off the more it is becoming a lifestyle change for me. I don’t ever want to go back to even 20 lbs. overweight let alone 100 lbs. overweight. So I want this to be a habit and a lifestyle. I’m not using a Fad diet, no diet pills just hard work and determination. I remember on my first day at the gym. Which by the way, the night before I cried because I was so afraid to go and get started… I felt like a kindergartner who’s parent was pushing them into the classroom and leaving. (that is what my husband did with me at the gym) So anyway, I had three rules… I said I would NOT 1) RUN, 2) both feet would not leave the ground at the same time and 3) No Stairs!! Well I do all of the above, and proficiently, I’m proud to say. I was obese and miserable the day I stepped into the gym. Today I am happy and motivated and on my way to my goal. I have lost 78 lbs. and while it has been slowly, it’s sure better than not doing it at all. Wouldn’t you say?? So the bottom line is … I was scared to death to go to the gym and start doing something about my food addiction and my sedentary lifestyle but I overcame my fear and I know you can too. I am here to help you, motivate you, tell you how I felt, offer my advise if you ask for it and give you some tools if you want them. I’m not perfect and I’m not a professional… but I am a person who was obese with an unhealthy LOVE for food, and did something about it!! I can’t tell you how good I feel now. My entire outlook on life has changed. I’m the real Tammy, not hiding under a bunch of fat in size 26 pants. Mercy, that even hurts to say that!!! There are no words that can describe how much better I feel now than the day I realized I was obese and miserable and needed to do something about it. I’m a better person, mother, wife, you name it – I’m just better!! And you can be too!! 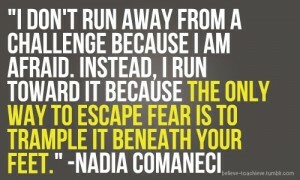 What are you afraid of? 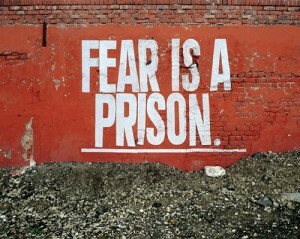 Do not be afraid – YOU CAN DO IT!!!!! Message me if you need help getting started.